A rustic design with simple lines is the Romilly End Table inspiration. 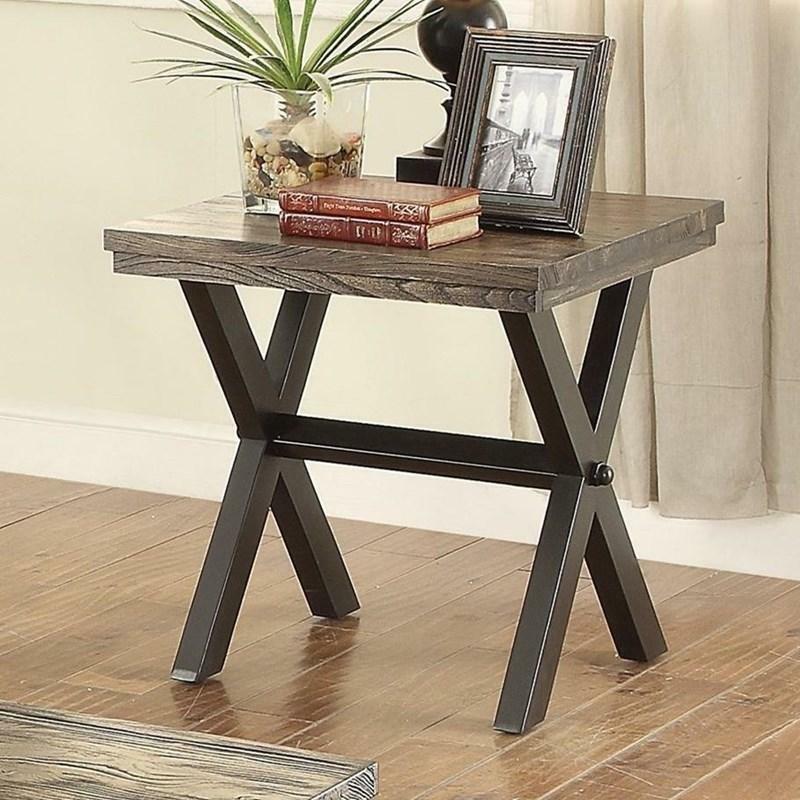 This End Table created by Coaster Furniture features a smooth top and metal X-shaped legs and comes in a dark brown finish that will match any decor in your home. Volume 3.61 cu. ft. / 0.10 cu. 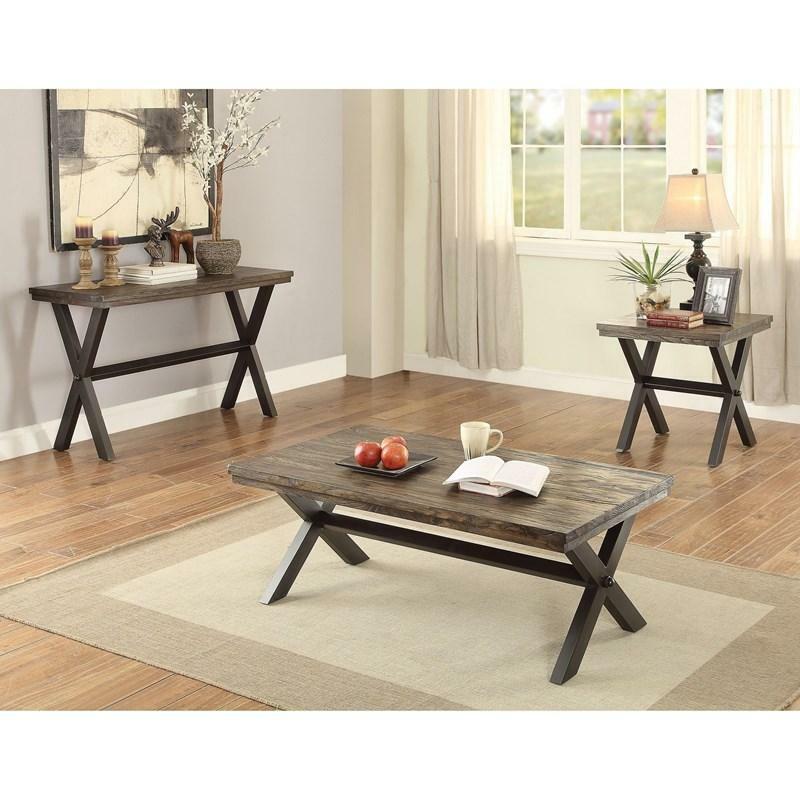 m.
A rustic design with simple lines is the Romilly Coffee Table inspiration. 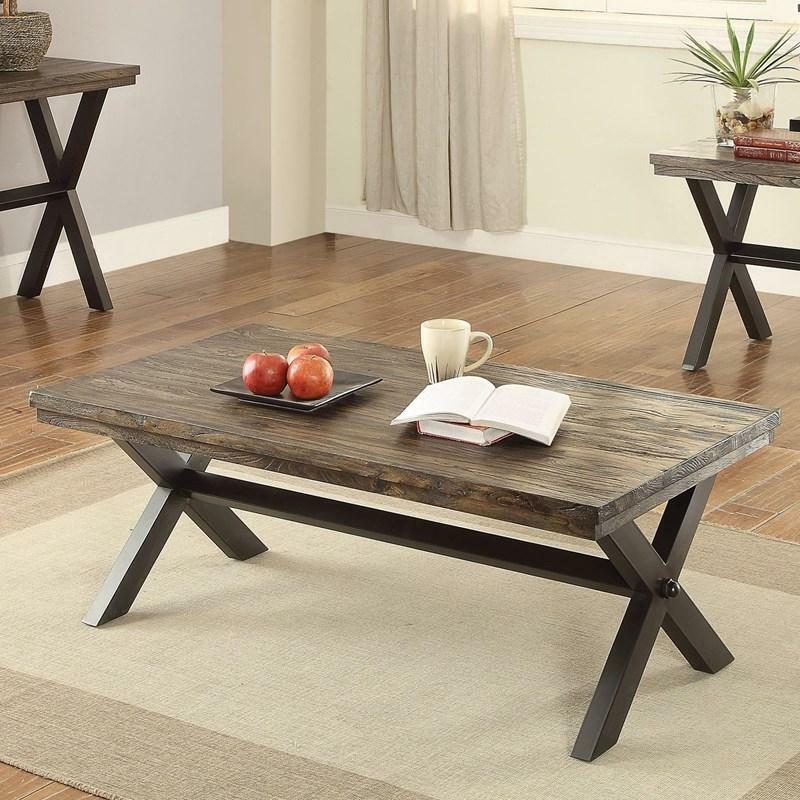 This Coffee Table created by Coaster Furniture features a smooth top and metal X-shaped legs and comes in a dark brown finish that will match any decor in your home. 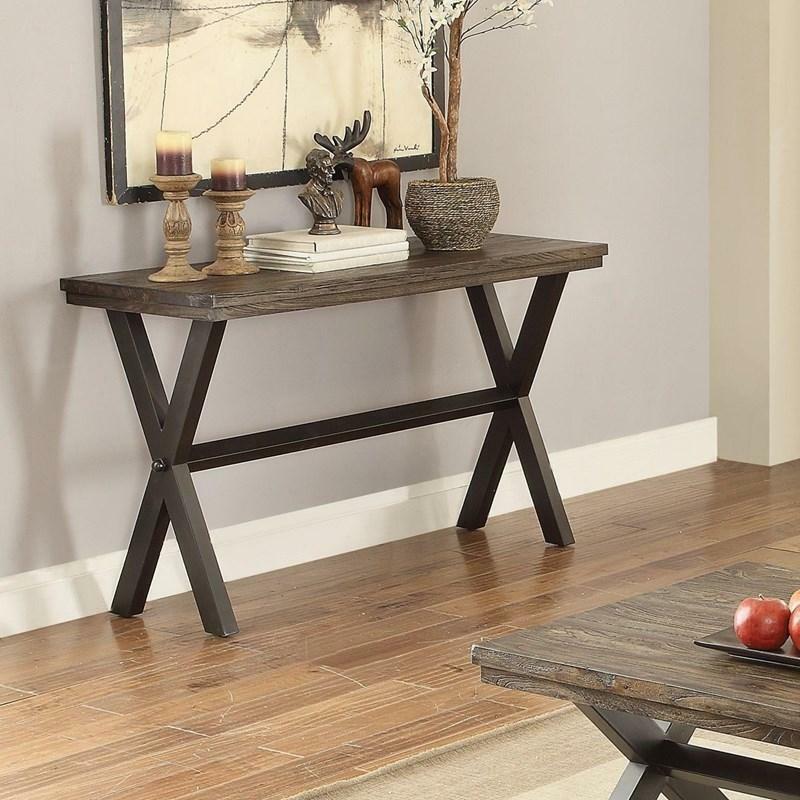 A rustic design with simple lines is the Romilly Sofa Table inspiration. This Sofa Table created by Coaster Furniture features a smooth top and metal X-shaped legs and comes in a dark brown finish that will match any decor in your home.